Find All Almanac Pages in Assassin’s Creed 3. With our 100% Collectibles, Trophies and Achievements Guide! Find theMemorial Mob in Sekiro Shadows The Twice – We’ll show you the exact location! Shock a Medic with a Defibrillator in The Division 2. Trophies and Achievements Instructions for 100% Progress. Slip into the division 2 over the hood of a vehicle, we’ll show you how it works! 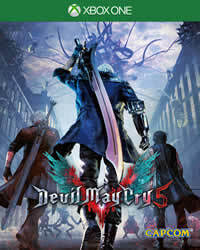 Find and Destroy the Devil May Cry 5 Wall in Mission 4 – Trophies and Achievements Instructions! How do I defeat 5 enemies in 1 second, in Devil May Cry 5? We explain it to you.